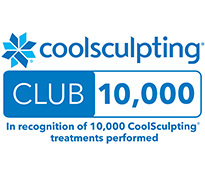 CoolSculpting is the world’s #1 body sculpting treatment. With millions of CoolSculpting treatments performed worldwide, Skin Perfect is proud to be among the Top 1% of Medical Spas providing an effective*, non-invasive fat reduction treatment. 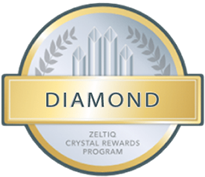 We are a Diamond Crystal practice and CoolSculpting certified! Plus, we have performed over 15,000 cycles since 2011. Find out more about the benefits of CoolSculpting below and then contact us to request a consultation. It’s called stubborn fat for a reason. No matter how much effort and pain we put into eating healthy and exercising, there’s no gain. It’s virtually impossible to lose that muffin top and those love handles. It seems we’re forced to just live with them or think surgery. Here’s the skinny: developed by Harvard scientists, CoolSculpting is a unique, patented, clinically proven procedure* that freezes fat cells without damaging the skin. There’s no knife. No suction hoses. No needles. No lasers, even. After the treatment, patients get on with their busy day. The revolutionary idea behind CoolSculpting originated when Harvard University scientists observed that children who ate popsicles developed dimples. They tested out their theory and discovered that the cold from the popsicles was freezing and eradicating fat cells in the children’s cheeks. From that, they developed Cryolipolysis – the science that coldness could freeze and remove fat cells from the body. This science is what led to the invention of CoolSculpting. 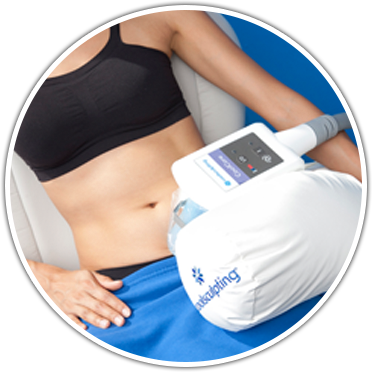 The CoolSculpting applicator works in two ways to remove fat cells from the body*. 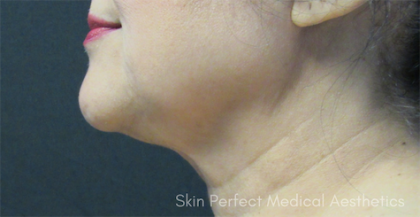 First, a slight suction works to pull fat cells towards the applicator. Simultaneously, the applicator emits a cooling sensation that freezes targeted fat cells in that location. After the fat cells have been frozen, then they will eventually die off and be naturally processed out of the body*. Once the fat cells have been removed from the body, those cells can never regenerate*. However, the remaining fat cells in the body can grow and shrink in size. This is why it is important to maintain a stable weight following the procedure. 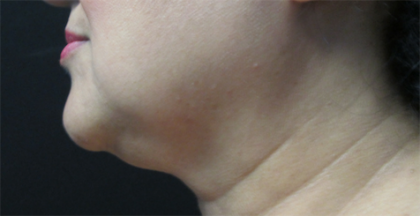 Typically, patients will see a noticeable reduction of fat in the treated area after one visit*. CoolSculpting is totally non-surgical, FDA-cleared, and there’s usually no downtime whatsoever — besides reading a book or checking emails during the appointment. How cool is that? And what’s more, there are no pills or supplements. As long as the patient maintains their weight with normal diet and exercise, the long-term results should remain stable*. Freezing fat … what a cool idea! CoolSculpting can offer incredible sculpting results for both men and women*. However, these patients should, in general, be within 30 pounds of their weight loss goal. It is important to keep in mind that CoolSculpting is not a weight loss solution. Instead, it works to reduce stubborn pockets of fat*. For these reasons, patients should also have good skin elasticity. Patients with excess skin, which can form due to pregnancy or significant weight loss, will likely have to consider alternative or additional procedures. In general patients should be in good health and have realistic expectations of what can be accomplished with CoolSculpting treatments. We recommend that patients take a look at some of our CoolSculpting Before and After pictures in order to get a better understanding of results from CoolSculpting*. Please keep in mind though that results do vary. Furthermore, the patient should not be pregnant or currently breastfeeding in order to be considered a candidate for any of our lipolysis treatments. In order to determine whether or not one would benefit from CoolSculpting treatment, please schedule a consultation at one of our Skin Perfect Medical Aesthetics Los Angeles locations. Depending on the patient’s individual case, other parts of the body may be suitable for CoolSculpting treatment as well – including the arms and back. Schedule a consultation at our offices in Whittier or Rancho Cucamonga in order to find out more about the power of CoolSculpting. The entire CoolSculpting procedure typically takes about half an hour. The patient will arrive and be placed in a comfortable chair where they will sit for the duration of their treatment. A gel pad and applicator will be placed on the body where the fat cells are to be targeted. The applicator will emit a cooling sensation that will not damage the skin. However, the patient may feel a bit of a tingling or suctioning sensation when the treatment first begins. Most people find this feeling very tolerable and notice that it goes away in about five minutes*. 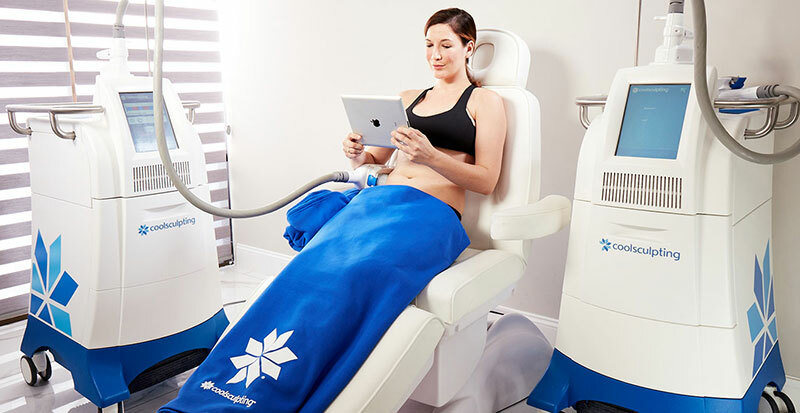 While the CoolSculpting machine and applicator work, the patient is free to read, respond to emails, even take a nap! Unlike some other fat reduction procedures such as liposuction, CoolSculpting involves no surgery, no injections, and little to no downtime. After the treatment, patients may feel numbness, soreness, and possibly experience some bruising*. This is normal and effects may last a few weeks. Immediately after the treatment, patients can go about their normal day, but it is recommended to stay away from any strenuous activities for 24-48 hours. With each CoolSculpting treatment, most patients will see measurable contouring results in the next few months following a single treatment session. * The exact amount of time varies because the rate of fat reduction is based on the individual patient’s natural elimination process. Results from the treatment are long lasting, however, maintaining an active and healthy lifestyle is necessary for ideal outcomes*. In some cases, weight loss may further improve results*. We recommend a series of cycles to get the best visual results*. At Skin Perfect, we are proud to offer a variety of body sculpting treatments to suit each of our individual client’s needs. All of the following treatments and plans are nonsurgical and noninvasive, like CoolSculpting. As opposed to cold, SculpSure uses heat to sculpt the body. Using lasers, SculpSure targets and breaks down fat cells that are then naturally removed from the body. SculpSure can be used to target areas similar to CoolSculpting, including the abdomen, flanks, and inner and outer thighs. It has also been used to successfully remove fat deposits from the knees, back, and buttocks. Zerona will provide more immediate results than CoolSculpting or SculpSure. However, it is important that the patient be able to commit to coming into the offices every other day for 40 minutes for two weeks straight in order to achieve results using Zerona. Zerona does not removed fat cells, but, rather, shrinks them in size. Like all body sculpting procedures, it is important for patients to maintain a stable body weight through diet and exercise following treatment with Zerona. For patients not within 30 pounds of their weight loss goal or who simply want to achieve a slimmer body without the need for lipolysis treatment, then they may be interested in our medical weight loss program. This program is a designed for patients who are interested in losing weight, as the aforementioned procedures are not weight loss alternatives. Our team works closely with each patient to develop a program that combines nutritional counseling, vitamin and mineral supplementation, hormonal balancing, and appetite control. In order to determine whether or not the patient is a good candidate for nonsurgical body contouring or would benefit best from medical weight loss, please request a consultation at either our Whittier or Rancho Cucamonga office. At Skin Perfect, we ask all patients who have not yet been treated with CoolSculpting by us to come in for an initial consultation. The consultation is an important part of the body sculpting process. During the consultation, we will work with the patient to determine the procedure or combination of procedures that will offer them the best results*. In order to offer our expert advice, we will ask the patient about their areas of concern, why they are interested in CoolSculpting, and about their medical history. Not all patients will be good candidates for CoolSculpting and some may want to consider additional or alternative procedures. 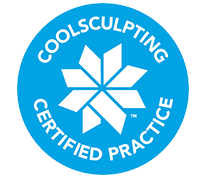 Please contact Skin Perfect Medical or visit one of our offices in Rancho Cucamonga or Whittier to see if you qualify for CoolSculpting. In order to achieve the patient’s desired results, most patients will require more than one CoolSculpting session. The number of sessions required and the number of locations on the body to be treated will both factor into the price of the CoolSculpting treatment. In order to receive an accurate price quote, please request a consultation at our Whittier or Rancho Cucamonga locations. Our medical practitioners will be able to provide a quote following the consultation.